A day out at Carnlough sitting on the pebbled beach we have from Randalstown Mary McCaughey and Sheena McNally. 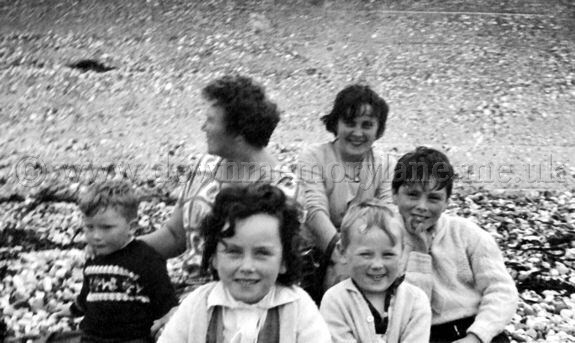 In front are David Duff, Seena McNally ad the twins Stephen and Sean McNally. 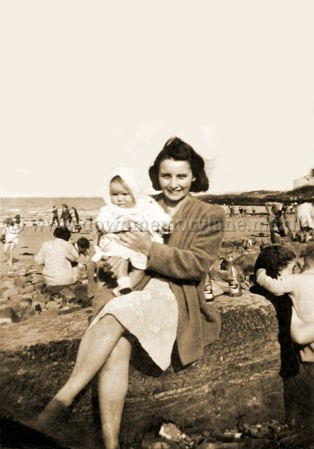 A day out at Carnlough, that's what Tillie Moore decided along with baby Pat. Although the sun is shining it can't be too warm judging by all the adults and the white breakers in the sea. 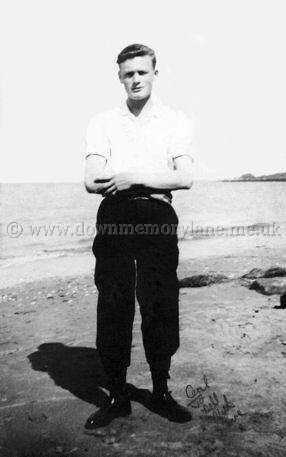 This is Cecil Moore at Carnlough having cycled there as you can tell by the bottom of his trousers. 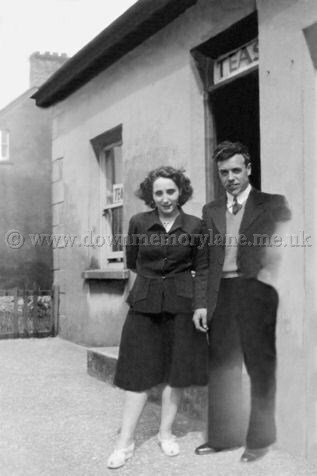 When he got this photograph he gave it to his girl Nell haven written on it "Cecil, To Nell with Love." 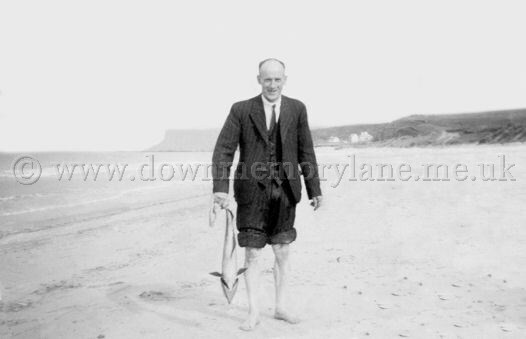 This is the beach at Carnlough in 1946 with Archie McCaughey proudly holding a fish with his hankie. Now Archie swears he was only in having a paddle when it jumped into his arms so he could have a fish supper! All set for the beach after their refreshments in the tea shop at Carnlough are Hugh and Margaret McKeown from Randalstown.